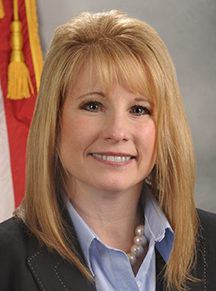 Del Greco is Deputy Assistant Director of the Information Services Branch in the FBI’s Criminal Justice Information Services (CJIS) Division. Her duty with the FBI began more than 22 years ago and brought swift exposure to biometrics, specifically fingerprints and latent technology. In 2003, she was promoted to Chief of the Biometrics Services Section. Del Greco will be recognized this month by the Women in Biometrics Awards program alongside four other honorees. The awards are presented by the Security Industry Association and SecureIDNews during the SIA Honors Night ceremony, with key sponsorships from IDEMIA and PSA Security.